"Thanks to Dr Zarembinski, I was able to keep dancing in the midst of my injury and he helped me recover with rehabilitation. I can't help him enough for all he did for me." He continues this season as a medical consultant for the show." "The other doc that treated me is DWTS' resident doctor, Dr. Chris Zarembinski. Dr. Z. came and advised me on icing, wrapping, and provided me with an anti-inflammation cream. Dr. Z. has been with the show for years, and he's always there to make sure our various injuries and tweaks get the appropriate care. He literally holds all of us together so we can perform." Christopher Zarembinski, MD is the co-founder of Jointvitality.com and the president of Jointvitality/L.A., Inc. Specializing in Pain Management, Dr. Zarembinski is board certified in anesthesiology and is the holder of additional training certificates in pain management. Dr. Zarembinski previously served as Assistant Clinical Professor of Anesthesiology at the University of Southern California (USC) Department of Anesthesiology and at the University of California, Los Angeles (UCLA). He was also a staff anesthesiologist at Huntington Memorial Hospital in Pasadena. A dedicated researcher, Dr. Zarembinski is involved in stem cell research as applied to spine and joint pain. His focus is on minimally invasive options in order to defer or avoid surgery. 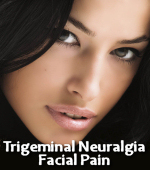 Another prime interest is in Trigeminal Neuralgia and the emerging use of gamma knife radiation. Dr. Zarembinski is a noted member of several medical associations, including the North American Spine Society, and the International Spine Intervention Society where he also serves as an instructor. Dr. Zarembinski received his medical degree from the University of Arizona School of Medicine. He completed his internship at St. Joseph’s Hospital in Phoenix and his anesthesiology residency at Washington University in St. Louis. He also completed a fellowship in pain management at UCLA’s Anesthesiology Department. 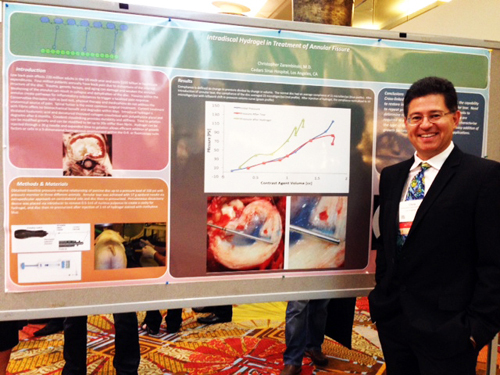 "Intradiscal Hydrogel in the Treatment of Annular Fissures" at the International Spine Intervention Society in Orlando Florida.